Paul is a BBC New Comedy Award and Daily Telegraph Open Mike winner, has been nominated twice for a Barry at The Melbourne International Comedy Festival and was voted Best of The Fest and Best International Act at the 2013 Sydney and Perth Comedy Festivals respectively . Recent TV and radio appearances include "The Infinite Monkey Cage" (BBC Radio 4), “Never Mind The Buzzcocks” (BBC2), "Would I Lie To You" (BBC 1), "8 Out of 10 Cats Does Countdown" (Channel 4), "The Morning After" (NBC), "8 Out of 10 Cats" (Channel 4), "Set List" (Sky Atlantic), "Christmas Pub Quiz" (ABC Australia), "The Alternative Comedy Experience" (Comedy Central), "Spicks 'n Specks" (ABC Australia) "Melbourne Festival Gala" and "The Great Debate" (Channel 10 Australia),”Funny As Hell” (HBO Canada). In the USA Paul was a finalist on Series 6 of NBC's “Last Comic Standing”. 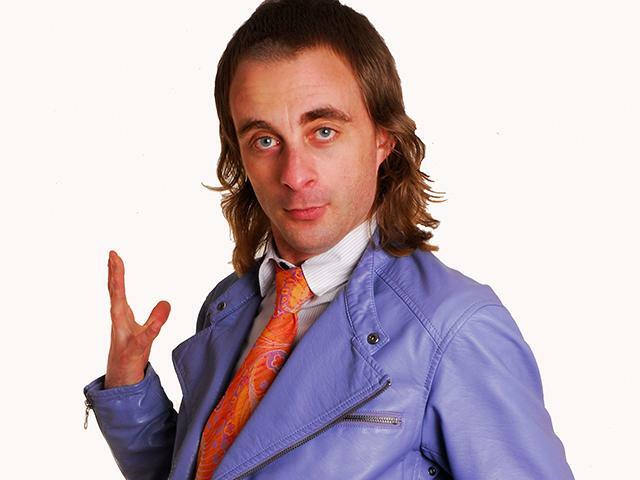 Paul Foot is a BBC New Comedy Award and Daily Telegraph Open Mike winner, has been nominated twice for a Barry at The Melbourne International Comedy Festival and was voted Best of The Fest and Best International Act at the 2013 Sydney and Perth Comedy Festivals respectively . Recent TV and radio appearances include "The Infinite Monkey Cage" (BBC Radio 4), “Never Mind The Buzzcocks” (BBC2), "Would I Lie To You" (BBC 1), "8 Out of 10 Cats Does Countdown" (Channel 4), "The Morning After" (NBC), "8 Out of 10 Cats" (Channel 4), "Set List" (Sky Atlantic), "Christmas Pub Quiz" (ABC Australia), "The Alternative Comedy Experience" (Comedy Central), "Spicks 'n Specks" (ABC Australia) "Melbourne Festival Gala" and "The Great Debate" (Channel 10 Australia),”Funny As Hell” (HBO Canada). In the USA Paul was a finalist on Series 6 of NBC's “Last Comic Standing”.